High stress and anxiety levels are commonplace among today’s students. Mindfulness helps children develop social and emotional intelligence, resulting in greater self-awareness, less stress, and higher levels of happiness and empathy. 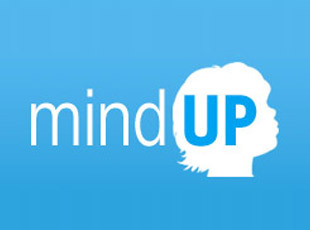 Learn more about MindUP, an evidence-based social and emotional literacy curriculum coming to our schools here. Each year at this time we are overwhelmed by our community’s commitment to our future – the education of our children. It is this community that recognizes the need to do more for our students than the California state budget will most likely ever do – provide for the extras that make a good education GREAT. The need to make a difference for the future. In 2014-2015, the Annual Appeal has once again raised over $5 million dollars, and the funds are still coming in. 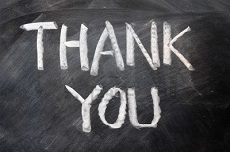 We want to take this opportunity to thank you for being the difference. A complete list of all donors will be published this summer in the MBEF Annual Report & Honor Roll. Donations to MBEF’s Annual Appeal are used to make grants to the District to pay for programs and educators at our seven schools. 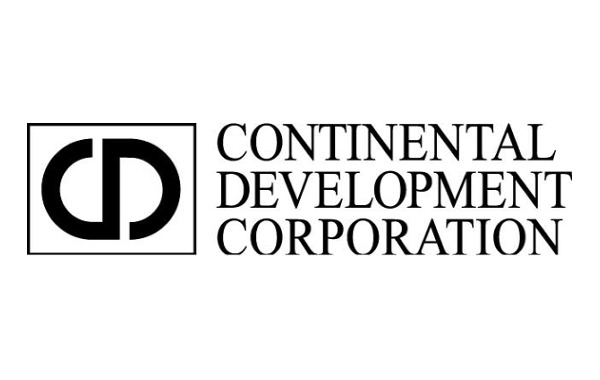 The grants, totaling over $5 million annually, amount to approximately 10 percent of the school district’s budget. Most of this funding is already committed to teachers and programs from the previous year. However as some programs close or shrink in size or if we are able to increase funds raised, we may have a little bit of additional funding through which we can consider implementing innovative new programs that align with parent and educators’ priorities. Read more here. 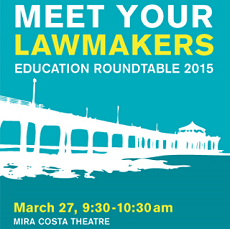 Please join Superintendent Michael Matthews, MBUSD School Board, Manhattan Beach City Council and Moderator Paul Silva in welcoming U.S. Congressman Ted Lieu, California Senator Ben Allen, and California Assembly Member and MBUSD parent David Hadley to discuss the impact of federal and state legislation on our schools. Click here for further information. 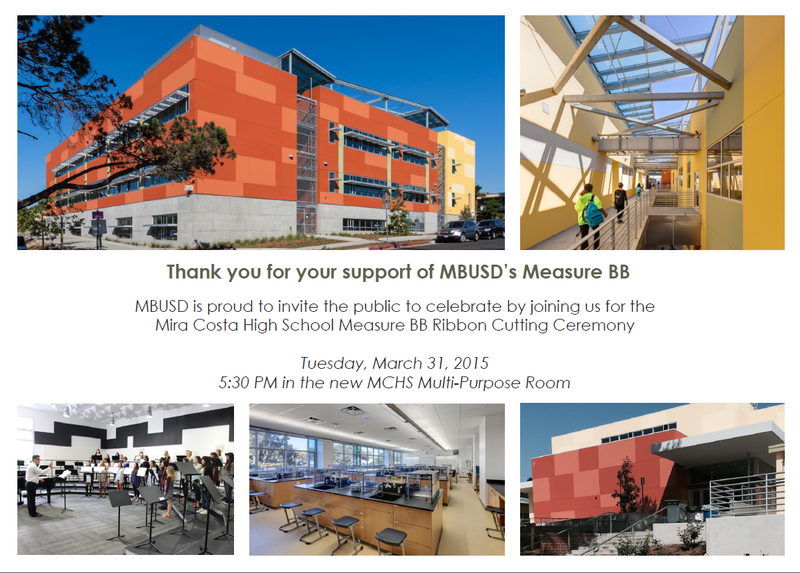 MBUSD is proud to invite the public to celebrate by joining us for the Mira Costa High School Measure BB Ribbon Cutting Ceremony. Thank you for your support! 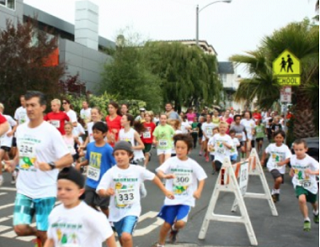 Save the Date for the 20th Anniversary of The Murad Family Foundation Grand View Gator 5K Run at Grand View Elementary. 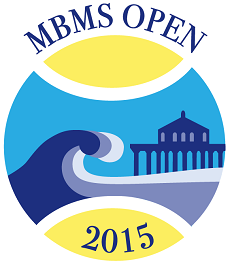 All proceeds support MBEF. Registration details and all the race day fun planned will be released soon at http://www.gvpta.com/gatorrun/. Interested in being a sponsor? Please contact Kim Blum. Please see here for a list of confirmed sponsors to date. Mark your calendars for the 21st Annual Manhattan Wine Auction, to be held on Saturday, June 13th from 4:30 – 11pm at the Manhattan Country Club. The Wine Auction is a wonderful opportunity to celebrate and raise money for our schools, while sampling the best of our local cuisine and wines from around the world. Tickets go on sale on May 1st at midnight - don’t miss out! If you are interested in sponsorship opportunities or purchasing a corporate or family table, please contact the MBEF Office at 310-303-3342. MBEF has a vibrant Facebook community with 2,400 followers. We regularly share innovations in education, recent research and updates within our school district, the programs we fund and the broader community. In the Name of College! What Are We Doing to Our Children? Pooja Nagpal, a Mira Costa student with a double black belt in Tai Kwon Do, spent her summer in India training girls in self-defense after learning about the painful rise of violence against women. Take a look at her video. "What Kids Should Know About Their Own Brains" - a great article about neuroplasticity. To join our Facebook community, click this link and then hit like. Thank you!